The decision process that you go through when deciding to make changes to your site can be tough. Even if those changes are likely necessary and needed, determining the best way to implement them can make you pause, and spend a lot of time considering all the potential alternatives that you might have. You can do a cost/benefit analysis, where you consider how much change you might make to your site, what the benefits of making that change might be, and what the costs might be in both making the change and deciding not to do so. It shouldn’t require much thought to do things like make your website more usable, but it can, especially if the changes you make change around the look and feel of your pages, and the way that people interact with them. A good example are the changes taking place at Google, where the search engine has implemented a number of new design elements over the past year or so, including new colors and formatting of their search results pages, a different look to how local search results are presented within Web search results, URLs now appearing under page titles and above snippets for pages, and Instant Previews, which show a thumbnail of a page and call out boxes of text showing where query terms appear within those thumbnails. On the subject of those Instant Previews, one of the challenges that search engines face is presenting web pages returned from a search in a way that helps searchers locate the information they want to find. A typical search result for a web page includes a page title, a URL for the page, and a short snippet that might be taken from a meta description or from text found on the page itself. A searcher is shown a page filled with these document representions to choose from, but sometimes that’s not enough to make a decision as to what page to click through. A visual comparison of search results helps you pick which result is right for you. Text call outs highlight where your search term appears on the web page so you can evaluate if itâ€™s what you’re looking for. Page previews let you see the layout of a web page before clicking the search result. The newly granted patent doesn’t include the use of thumbnails, or visual representations of web pages at all, but it does show a lot of concern that the length of the snippets that they show isn’t always enough to be helpful to searchers. It also tells us that by expanding the amount of text around the snippet we are shown in the original snippet, we can see the context of that snippet, and get a sense of where it appears upon a page. Google did acquire a couple of patents from Girafa this summer that cover the presentation of snapshots of links, like those in Google’s search results. 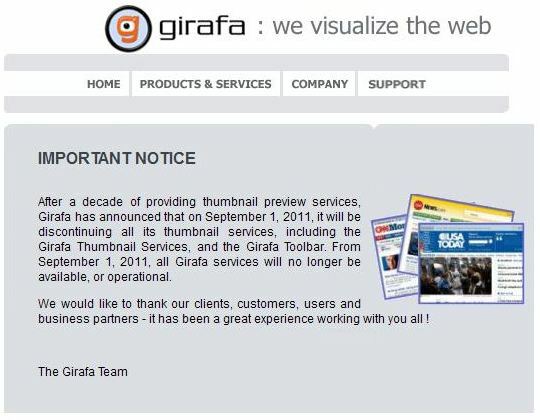 When I wrote about the Girafa patent acquisitions this summer, the Girafa.com pages still appeared operational, but visiting now, there’s a notice on the homepage that the company decided to stop providing services after September 1, 2011. Since Google started showing instant previews for Web pages that appear in their search results, they’ve also added previews of Google Places pages, along with maps. Like the thumbnails of web pages you see in search results, the thumbnails for the place pages provide you with the chance to click through if you want to learn more. A system provides a list of search results, where one of the search results in the list of search results includes a snippet from a corresponding search result document. The system receives selection of the snippet and provides an expanded snippet based on the selection of the snippet. The expanded snippet includes the snippet and other text from a subset of the search result document. I’m not sure that the patent brings us much new in terms of the technology that it describes, and I would suspect that some people would even question the need for this patent at all. The Girafa patents covering the showing of a thumbnail preview also may not seem to be that remarkable an innovation, but they were the subject of some pretty serious litigation between Girafa and companies such as Amazon.com, Ask, Yahoo, Snap, IAC Search & Media, Exalead, and others. Regardless of that, this post is more about the changes that we’re seeing at Google. Users often use the snippets in determining which search result(s) to select. Because of the short length of the snippet, however, the snippet may not provide enough information for a user to make a meaningful decision regarding which search result(s) to select. One solution might have been to just make those snippets longer. Seems like a good approach. But the short length of search results is also one of the positives of using Google, in that you can look at a good number of results at the same time to make a quick decision as to which pages you might want to visit in response to your query. By providing a flyout that can show you more text, or a thumbnail, Google made it easier to look closer at search results which might have captured your attention without having to actually visit the page. That’s one of the benefits of showing instant previews, but what are the costs? For one, site owners who rely upon the search engine to deliver visitors to their pages might not get those visits, especially if the design of their page isn’t persuasive or interesting enough to convince people to visit. When Google makes changes such as adding Instant Previews, those changes can impact site owners as well. In addition to hoping the designs of our sites look good to visitors when they arrive at pages, site owners now also need to consider how their design looks in thumbnail previews as well. If the snippet that shows up for one of your pages may not be helpful enough for someone to decide whether to visit your page or not, the thumbnail that shows up in Google’s Instant Previews might be. If you’ve been thinking about updating the look and feel of your site, that might be something to consider as you weigh the costs and benefits of making changes. Additionally, and I think that this one is more relevant to the discussion, I added the NOARCHIVE tag to all of my webpages to prevent the cached link from showing up in search results. I think that the NOARCHIVE tag may have affected how Google shows snippets from my site. Bill, Do you think it would affect it in a negative way? The cool thing of instant preview is that Google wants you to put content in your site. I am seeing this when looking for instant preview for my site. We have some pages with no content because they are like a cover for a big part of the site. And in the preview, Google is taking and highlighting the newsletter thing for the user, because it’s the only text part on the page. And it’s really bad for the user, of course. Adding the text right now and see what will happen. Another thought provoking post Bill. I was aware of the thumbnail view of the page but never really gave it a great deal of thought. reading your post prompted me to go and take a look. I discovered that a recent video that I added near the top of my home page, shows up as a grey rectangle (NOT TOO ATTRACTIVE). This made me realise that something that was meant to grab the attention of visitors, may be putting off searchers. As always, it’s a balancing act. Nothing is ever straight forward in this game. Thanks for the post and information; I didnÂ´t know Google filed for patents on things like this. I believe that the snippet preview of the pages can be helpful for users to have sneak-peek on the results for their keyword-phrase search and perhaps helps them decide which one to click through but IÂ´m not sure itÂ´s a decisive factor. The reason I say this is because IÂ´ve seen many website that are not “pretty” or the snippet preview simply cannot show users the actual (useful) info but they may still have that quality content you were looking for. On the other hand, thereÂ´s the opposite, where you have super sleek and good looking website with big headers with the keywords in it that may initially get people to click through but then the quality of the content is poor. In that sense, IÂ´m not sure (1) how much this preview really enhances the user experience and helps them get more relevant results and (2) how many users actually decide which site to click-though based on this preview. A nice feature, donÂ´t get me wrong, but I personally would not be too concerned about making changes to my blog based on this alone. Maybe is just that I donÂ´t find it all that useful. Hi Bill. I just took a look at our website and it looks really nice in the Google preview. Last time I commented on your blog, I explained that this is all very new to me and I was finding it hard going. You kindly replied and advised me to just learn a little something each day. 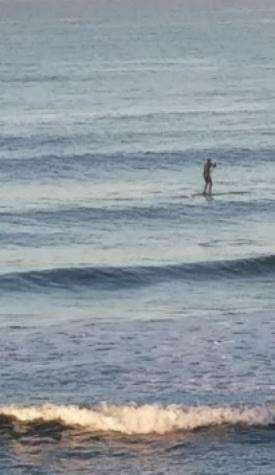 You may not know it but I was starting to feel out of my depth. I took what you said on board and guess what. I can see my our website comming up through the search results. I still find a lot of your more advanced articles way beyond me but I can say that I understood this one perfectly. lol. Anyway, I just wanted to say thank’s for the advice. It helped me get things in perspective and soldier on. I understand why you changed your blog structure, but I’m not sure how necessary or important that is when it comes to creating blog posts that people find useful as resources long after they are written. An evergreen post is one that people will link to long after its written, and I’m not sure that your URL structure is going to hinder that much. I know that some people also turn off the dates on blog posts to try to do the same thing, and I really hate coming across blog posts that have no date attached to them at all. A number of people wrote about Google’s Instant Previews when it first came out, and how Google was showing Instant Previews even if they had a noarchive meta tag on their pages. I don’t think that has changed, though it’s possible it may have. It appears that Google considers the Instant Previews to be an enhanced snippet rather than an archive of your pages like the cached copies that they will create and link to in search results. You should still be seeing snippets for your pages in search results if you are using the noarchive meta tag. From the way that Google was treating Instant Previews, you should also be seeing those. I’m not sure why someone might want to try to turn snippets off for their pages if they also want Google to send visitors to those pages as well. Good points. Also, when you’re focusing upon including keywords on a page that you would like to rank for those keywords, I think it’s important to keep in mind that Google might choose that particular content in search results as a snippet, and you need to use those terms with that knowledge. It can help to put them in a well written sentence that can stand up outside of the context of the page itself, and one that might persuade people to come visit your page. I often see people creating meta descriptions that are interesting, useful, and too short, so that Google chooses content from the page itself rather than using the meta description. That’s a sign that it’s worth spending some time working on those meta descriptions as well. I’ve written a few posts here in the past related to sitelinks, but I think it’s probably time to revisit the topic sometime in the very near future. 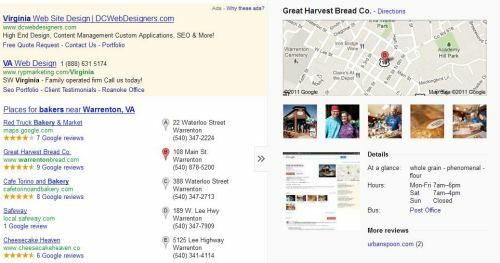 There’s a possibility that Google has changed the process a bit behind sitelinks that they do show. Google’s Webmaster Tools started using a different interface a while back to enable people to block certain sitelinks, and they don’t seem to be showing you the sitelinks that you have for your site anymore within that interface. It’s possible that they are or may be aiming at showing different sitelinks based upon the specific query terms that pull up a page as the number one result, with the sitelinks being shown for those as relevant to the query being used. When Microsoft came out with a patent describing sitelinks, their patent provided a number of different ways that webmasters could suggest sitelinks to display, but I haven’t seen something similar from Google in the patent filings they’ve published about sitelinks. See: Should Webmasters Pick Their Own Quicklinks in Search Results? I’m not sure that we would see Google offer the opportunity for webmasters to suggest specific pages as sitelinks, but I would personally welcome the opportunity. I haven’t seen Microsoft come out with anything like what’s described in their patent filing that would allow webmasters to suggest specific sitelinks, but I’m wonder if they did, if Google would try to do the same thing as well. So content other than just videos might be a problem too, when it comes to rendering that content as part of an instant preview. Just to add to that, and maybe make up for it a little, if you do have videos on your pages, if those show up in Web search results you could also possibly have video instant previews show up for them as well. According to Google’s help page on Video Instant Previews, they might offer those if you use a video sitemap that provides information about the location of the raw video file. First of all thank you for a great article. Had pleasure to learn few things I didn’t know, including patent by Google. Does it mean other Search Engines wont be able to use Instant Preview or have to pay premium to use? As someone who has website and active search engine user, I can understand both points of view. It does for instance make my life little difficult and adds another task for never ending SEO list. However, as a user I found instant preview very useful. In fact the other day when I was on Yahoo/Bing searching, it was little annoying that they only showed extra snippet instead of Instead Preview like in Google. I should say its pretty addictive in a way to keep customers in Google. This was first article I read on your website, will be browsing other pages now. When I run a search, I find myself using the previews as a way to see if the website’s worth visiting if its description in Google’s results doesn’t give me enough information. So far, the only time I’ve been put off of a website after looking at its preview is if it looked obviously spammy or not relevant to my search. Hi Bill, I am very new to all this Search engine optimisation but I am finding your blog to be a wealth of knowledge assisting me to manage a number of new websites and blogs that i have recently started. Certainly making sure your content appears nicely/correctly is a very important thing to be aware of for many reasons. Thank you for the help. Bill, this is a really great SEO article. I find that webmasters should not be scared to update their sites and know that Google will cache sites that have alot of activity frequently and hence the instant preview will also update in tune quite frequently. Another way to get Google to update your instant preview I have found is by pinging that page you want updated and using the ‘fetch url’ section in Google Webmaster Tools. Bill, very interesting read. There is so much to consider when making changes to your site. Just changing themes alone could be disastrous. Thanks again for the interesting and thought provoking topic. I am making some drastic changes to revamp my site and I can tell you are 100% correct. Even the smallest change and can consequences that you never imagined. Another great post, I just book marked your site. Cheers for the post Bill. I think Googles attemped to offer instatant preview and more google integration is their attempt to further push into the local-deals market. It’s only a matter of time before we see offers popping up in local search results – tied into geo targetting/mobile wallet. I heard a Google executive talking about this in Dublin only last week and it sure does explain some changes. As usual awesome post. It makes a lot of sense to invest in website design. Also as you stated in your post http://www.seobythesea.com/2011/11/google-demote-search-results-for-related-searches/ Google is evolving in such a way that it is giving importance to user behavior. As many SEO gurus have predicted Google will also take into consideration the bounce rate data and CTR data which would actually be a step in the right direction. The Web is evolving and so are the people so it is imperative that we set long term goals and keep the user in mind and not the Search engine spider. Seems a good thing to me. Working on the design of your site and potential content of the snippet is a great factor of quality as well…. Google has filed a fairly large number of patents on different aspects of how a search engine functions. And on the other hand, there are some very slick and polished sites online that just aren’t informative or persuasive or interesting. If the preview of your site doesn’t bother you, then you probably shouldn’t change it based upon that preview. But if it’s something that might turn off visitors to your pages, then maybe it should concern you. I know that if I was trying to find the website for a bank, and the preview showed me a site that looked like it was the first attempt at web design by someone, I might not visit. You’re welcome. I’m not sure if the patent from Girafa would be enough to keep one of the other search engines from finding a way to show previews. I’ve seen more than one patent granted for one of the search engines to then see another of the search engines approach the same problem from a different direction to get their own patent that provides similar functionality. Then again, Girafa did file a lawsuit against Ask, and Amazon, and others for their use of previews with the patent that Google acquired from them. I don’t use the Instant Previews too often, but every once in a while I find myself using them a lot for some queries. That sounds like a good way to quickly check to see if Google has updated your page in its index, especially if its the front page of a site that might change regularly, like a blog. Thanks. Thank you. I understand why some site owners might be cautious when making changes to pages, especially if the pages are ranking well for something and bringing traffic and possibly even conversions in. But, I do think that making changes is something that needs to be done every so often when information needs to be updated, and people are relying upon that updated information, or if a design can be improved in some way. I’ve seen Google updating the preview for my site fairly frequently as I post new blog posts, but appreciate the suggestions regarding pinging the page or using the fetch URL in Webmaster Tools. Would love to hear from anyone who tries those how they worked for them. I like to make changes slowly over time if I can help it, but sometimes you just can’t. I will tell you that I’ll be paying much more attention to the previews that Google shows now, after I make a change. Happy to hear that you’re enjoying my posts. It was interesting seeing Google start showing the previews for Google Places pages with maps included in them, and I suspect you’re right that we might start seeing offers in those previews as well. I could see Google doing that. Thanks for sharing what you heard from the Google executive. I have not employed rich snippets until very recently and while they create extra work they may make the difference between my site standing out among my competitors and not. Great post! The expanded snippets that my post was about are a little different than rich snippets, but I think both point towards a Google that is experimenting with different ways to display information about pages within its index. More information within those, whether by way of additional text, or things like stars for reviews can make a search result stand out, and provide a better idea of what might exist behind a link in a set of search results.